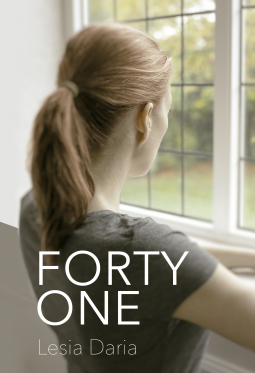 This might be a novel about being a housewife, or being Eastern European and feeling misplaced living in England, or coming to terms with depression, or allowing your emotions to catch up to everything that’s happened in your past. And maybe this book is a mirror, reflecting the failures and sins of the reader. The thing is, I don’t quite enjoy my flaws staring back at me. And I don’t like all the gloom and doom of Forty One. The WHOLE THING is gloomy with tiny bits of shimmer thrown in, every piece of which Eva manages to dull with her depression. I also didn’t appreciate the betrayals to marriage. If you’re depressed, think long and hard whether this book will make you feel better (understood and validated) or worse (dragging you deeper) before deciding to read it. I prefer a bit of happy escapism in my daily reading. But some people (ahem, Urania) think it’s totally awesome when a book makes the reader uncomfortable, pushes the reader to reexamine her values, brings to light that which is usually hidden. So I admit to my negative and egotistical nature… And heretofore I’m moving on to a more uplifting read! Technically, the writing was long-winded. I skipped entire pages of droning and description, and still the book took forever to read (over 8000 locations, felt like maybe 8 hours). Know what I loved, though? When Eva is in Poland, her family traditions around meals and holidays were very similar to my family traditions when I was a little girl. I thank the author for bringing me a piece of my childhood, eating pierogies and golombki before Christmas midnight mass, and sharing the opłatek with my relatives.